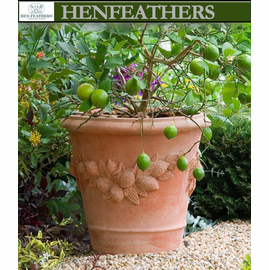 The Lemon Flower Box is one of the Ornamental Lemon Collection designs. It is imported from Impruneta, Italy and therefore the best in the world. 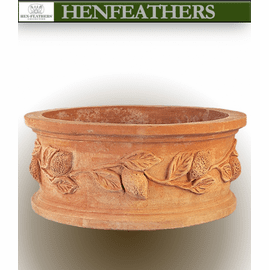 Handmade in historic workshops by Impruneta's most celebrated artisans, our terracotta planters are untouchable in both quality and beauty and frost proof to -20� Fahrenheit. 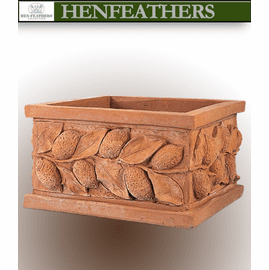 These are the most beautiful planters in the world and are handmade in the original molds that were made by great masters in the 1800?s. Each work is expertly finished by today?s brilliant craftsmen using fine tools and requiring enormous skill and patience. 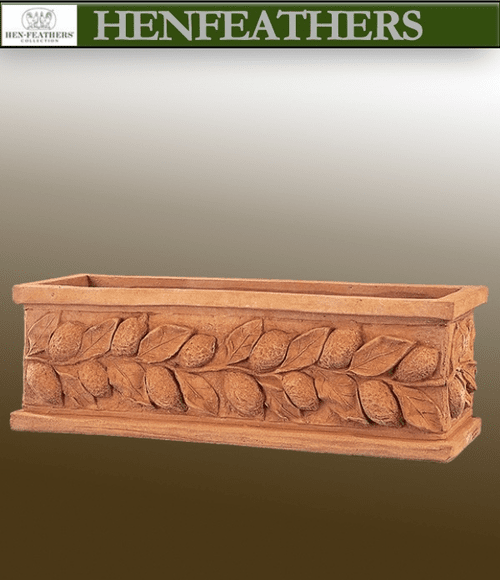 This planter is embellished with a lemon design motif. Each work is expertly finished by today's brilliant craftsmen using fine tools and requiring enormous skill and patience. The exquisite handmade beauty is unsurpassable, an Heirloom.